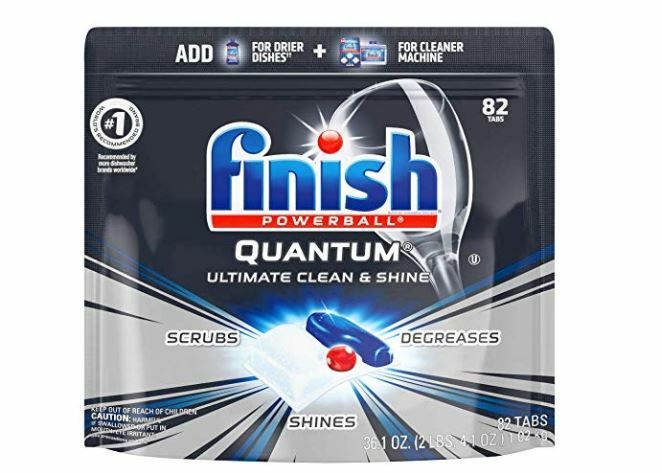 Get this Finish Quantum Ultimate Clean and Shine Dishwasher Detergent Tabs 82-Count for $12.25 shipped when you clip the $4 off digital coupon and opt to Subscribe and Save! That's only 15¢ per tab! If you have 5 or more subscriptions arriving in a month, you'll save 15% off this order instead of the regular 5% making this deal even better!